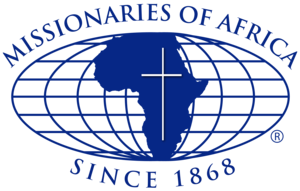 First of all, please know how much your continued kindness, caring, and financial support mean to the hundreds of Missionaries of Africa working throughout the African continent as well as the hundreds of thousands of men, women and children we serve. It is so true when I say that without your generosity, we would not be able to provide the life-changing (and oftentimes life-saving) support that is an integral part of missionary life. What a gift you are! In so many ways, the concern you and I share for those in need is at the heart of the Easter miracle. For as we give of ourselves, others receive renewed hope of a better life. I see this particularly true in the support we are providing to the mission in the Upper West Region of Ghana, West Africa. The mentally ill here are treated as if they are a menace! A few months ago, I received a letter from Fr. Dominic Apee, one of our missionaries who then worked in Tamale, Ghana. As the Provincial Superior of our missionaries working in Ghana and Nigeria, Fr. Dominic visited each mission and provided guidance on how to most effectively serve those in need. There is one mission in particular, though, that is reaching out to those who might otherwise have nowhere else to turn. As I read Fr. Dominic’s letter, I thought about the challenges that people here who are mentally ill face and how you and I can help. In our own communities, we can work to make sure that those with mental illness know what programs — residential as well as outpatient — exist that offer treatment (even for those who cannot afford it). One of the best ways to do this is by contacting a nearby medical center to see what programs are available. Someone you know might actually want help but not know where to find it! You can also help by supporting the mission in Ghana as we work to raise at least $35,000 to help those in Fr. Dominic’s region and other missions throughout West Africa. Whatever amount you send — the greatest help you give is by letting our missionaries know that they are not alone in caring for those who are poor and in need. God bless you and your loved ones for all that you continue to do.